Our choices for best children's adoption books of 2011! We turned to the community to compile our list of the best children’s adoption books. Many of you recommended your favorites on Adoptive Families Circle. ON THE COVER: Seth (3, U.S.), son of Joe and Shannon Stickman, Omaha, Nebraska. Photograph by Amber Welland of Amber & Rob Photography. Every year, in anticipation of our Summer Reading Special, the editors of Adoptive Families spend the spring feverishly reading all the new adoption memoirs, anthologies, novels, and short first-person pieces we can find. We’re in love with the selections that rose to the top of our list by season’s end, and we know you’ll be delighted by them, too. You’ll find three powerful pieces of adoption writing in this issue. We’re also pleased to present our fifth annual Best Adoption Books List, compiled with your help. 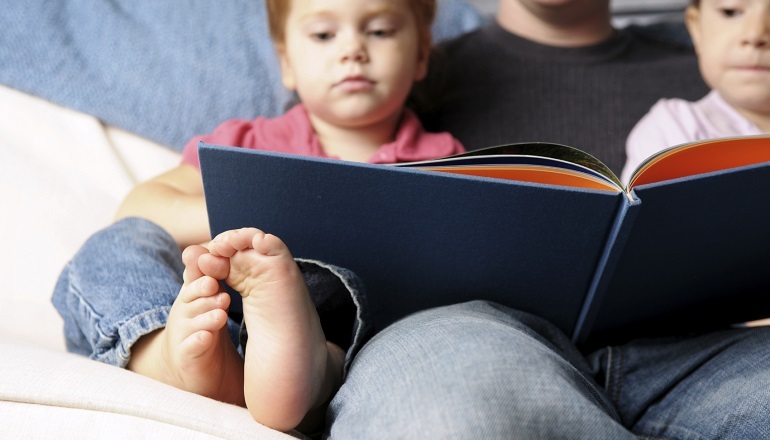 Hundreds of AF readers recommended their favorite adoption reads on AdoptiveFamiliesCircle. Congratulations to Lane and Brittany Martin, of New Mexico, who were randomly selected to win a Kindle, and thank you to all our community members who took the time to weigh in. Within this year’s summer reading section, you’ll find a children’s story submitted by AF reader Anne Cavanaugh Sawan. “The Very Best Day ” reminds us of the power of the everyday – the regular patterns of life in a family and the beloved familiarity of an oft-told adoption tale. We’ve designed the page to be clipped out so you can read it aloud (you can easily adapt the text to your child’s adoption story). If you’re just beginning the conversation, you won’t want to miss “ Start Talking ” with guidelines and sample language for parents of toddlers and preschoolers. When adoption is the happy ending to your family’s story, the earlier chapters may include some bumps. In “ Surviving a Winding Road ”, families and experts share advice on moving on from an unsuccessful birth mother match or other changes of plans during the process. At the end, they all agree, you will adopt the child you were meant to parent, and it will be so worth it!